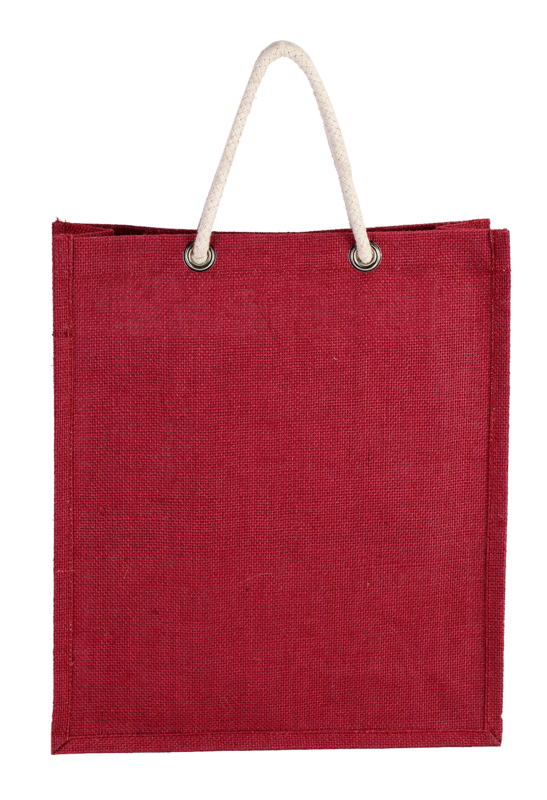 This red colored Jute bottle bag is crafted meticulously to give a unique look to the product. It has a white colored roped handle which is artfully tied to the bag that makes a beautiful contrast with its body. The bag is large enough with a size of about 35.5 cm height, 33 cm width and 10 cm depth, which enable you to store six to seven bottles at once.